Please note that ORION is currently adjusting their sizing to more accurately match with industry standards. As we currently have a mixture of old and new stock we will adjust your order depending on stock availability. Whilst we will take care to ensure you receive the correct size, there may be instances in which you find they are not a perfect comparison to your existing garments. If necessary please see our instructions for free returns which can be found at the bottom of our homepage. 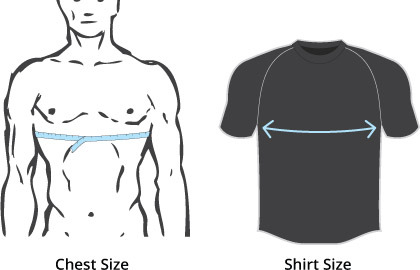 An accurate chest measurement is important before ordering. Stand straight, but relaxed, in front of a mirror. Wear thin clothing or none at all. place the measuring tape around the widest portion of your hips. An accurate waist measurement is important before ordering. To ensure a long life of your Orion Teamwear garment please follow these guide lines. Wash inside out with like colours on a warm setting no higher than 40°C. Air dry to ensure no shrinking, do not tumble dry. Do not dry clean. Do not iron directly on the garments graphic prints.